Polish professor of chemistry; born at Warsaw 1832; died there Sept. 14, 1884; educated at the University of Dorpat. In 1862 he was appointed professor of chemistry at the academy Szkola Glawna at Warsaw, where he remained until it was closed, seven years later. 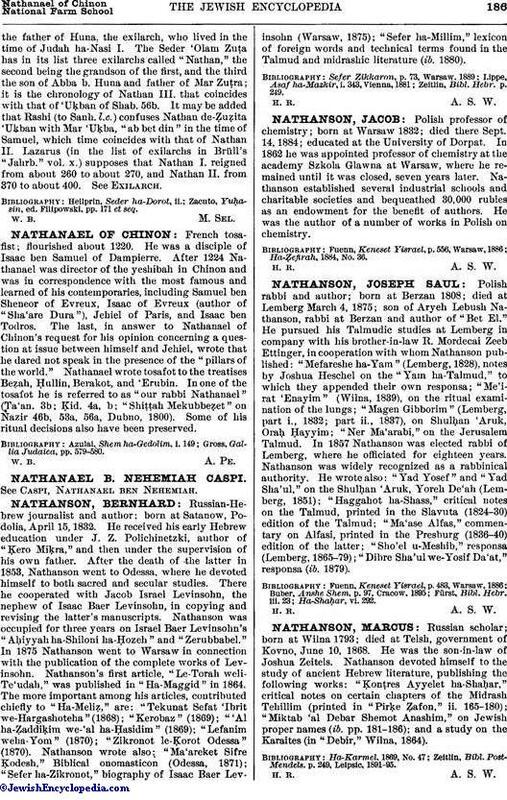 Nathanson established several industrial schools and charitable societies and bequeathed 30,000 rubles as an endowment for the benefit of authors. He was the author of a number of works in Polish on chemistry.